EXTENDING THE GMO UMBRELLA. On Wednesday, Europe’s highest court ruled that any crops edited using CRISPR or other gene-editing techniques must abide by the same laws restricting the use of genetically-modified organisms (GMOs). WHAT’S THE DIFF? Though similar in name, the process used to create GMOs and gene-editing crops is different. Genetically modifying an organism involves swapping out a bit of its genetic material for a bit of a different organism’s material — for example, tweaking the genome of corn to include genetic material from pesticide-resistant bacteria. The final product could never appear naturally in the wild. With gene-editing, researchers add, delete, or modify bits of an organism’s genome — for example, deleting parts of a mushroom’s genome to prevent it from browning as quickly. This could conceivablely happen in the wild through natural mutations. THE SITUATION STATESIDE. This decision conflicts with the U.S. government’s current stance on gene-edited crops. 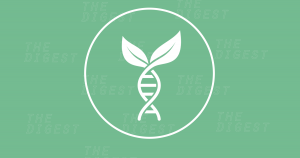 In April, U.S. Secretary of Agriculture Sonny Perdue issued a statement confirming that the U.S. Department of Agriculture (USDA) would not subject gene-edited crops to the same regulations as genetically-modified ones. Of course, since then, research has shown that CRISPR might not be as safe or reliable as scientists previously thought. That new information, combined with the European court’s ruling, could push U.S. regulators to rethink their position on gene-editing in the near future.